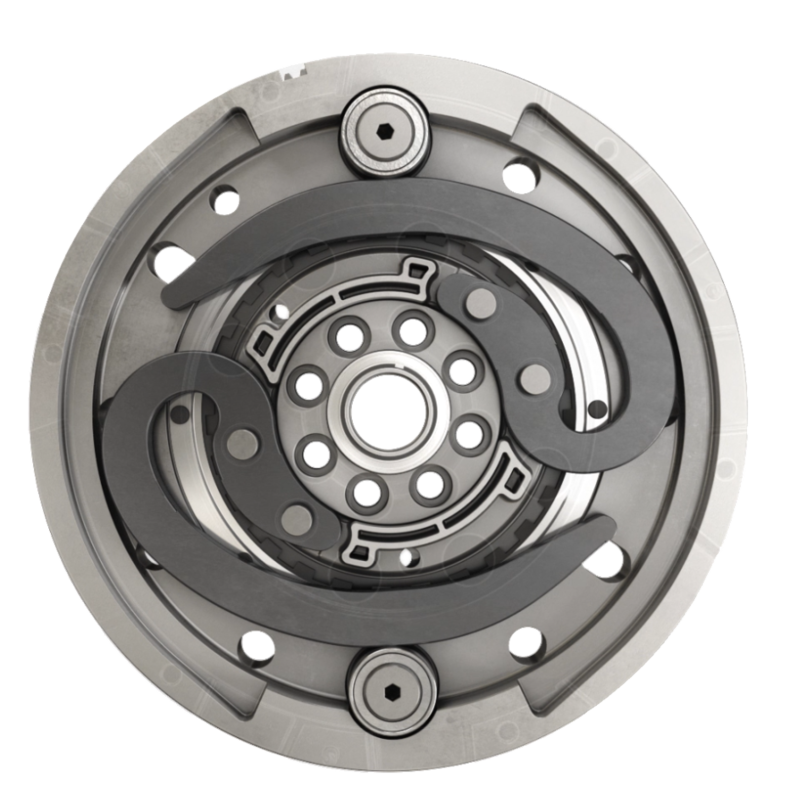 The blade damper is Valeo’s innovative solution for dampening. It allows an effective stiffness without any internal friction. As a consequence, Noise, Vibration and Harshness (NVH) performances are neither impacted by engine speed nor torque. It is a very effective solution for torque up to 350Nm, In particular, it is well suited for engines equipped with cylinder deactivation that change vibration mode whenever the deactivation occurs thanks to its unique progressivity. By design the stiffness curve is fine tuned for each engine torque and complexity remains very limited compared to pendulum systems.